For more and more Mallorca fans the views of the sea are no longer enough – they want to get into ‘farming’. Klaus Heinemann is a successful businessman, consultant and member of numerous supervisory boards in Germany. For him Mallorca is the resting place between his travels and meetings. The Spain-resident with his company headquarters on the island represents a new trend – the wish not just to lie on the beach but to really merge with the local life and people. Stressed managers like him want to make a real home in Mallorca. Thorsten Kaiser, sales manager of Porta Mallorquina, explains this new trend. What better way than to go into agriculture. Life in Mallorcan villages or on a finca can, however, not be compared with a town apartment in El Arenal or Andratx where most foreigners choose to live and where the sea is ever-present. The person who only occasionally visits the island is looking for exactly this combination because he wants to relax and feels privileged to leave his grey home country and flee to a sun-filled holiday life. For this reason and according to a study by Porta Mallorquina, properties with sea views, for example in the south, are 57% dearer than those with views of another house or the countryside. Heinemann, who speaks perfect Spanish, is not one of those looking for that feeling. In 2011 he bought a 6-hectare finca near Montuiri where he now successfully cultivates Chardonnay vines. The winery of Klaus Heinemann at Montuiri. Image: Stefanie Müller. ”It was clear to me that the project had to be profitable, so there was no other way than to work together with others in the cooperative and to listen to their advice before making decisions. They harvest and press the wine together: This way we share the costs and I can trust in their experience. I am, after all, new to the business”. ”We sell 75% of our production here on the island”. And that although Mallorcan wine is more expensive compared with other Spanish wines. The 14 million tourists per year, however, increasingly choose local wine although a bottle generally costs between 10 and 30 euros when buying direct, without mentioning restaurant prices. Heinemann believes. Almost dead a few years ago due to business slumping, the cooperatives are experiencing a new lease of life with the tourists’ desire for bio products. This also helps to create jobs on the island away from the dependence on the seasonal holiday economy. Not only bodegas, but also the dream of having their own hotel motivates many foreigners who have made their home in Mallorca. Some combine the two. Important here are, apart from knowledge of the industry and the necessary finances, good relationships with the local authorities. The location of the finca is the most important factor of all with investments in properties which are later intended for use in the tourist sector. Completely solitary locations are not to be recommended, and good advice is paramount here as the new Balearic regulations are very restrictive with the granting of licences for guest houses and holiday renting. warns German real estate advisor Matthias Mendel. He has purchased a village house near Inca and is now considering opening a guest house in the interior of the island where the dream can still be realised by middle-sized undertakings like his. 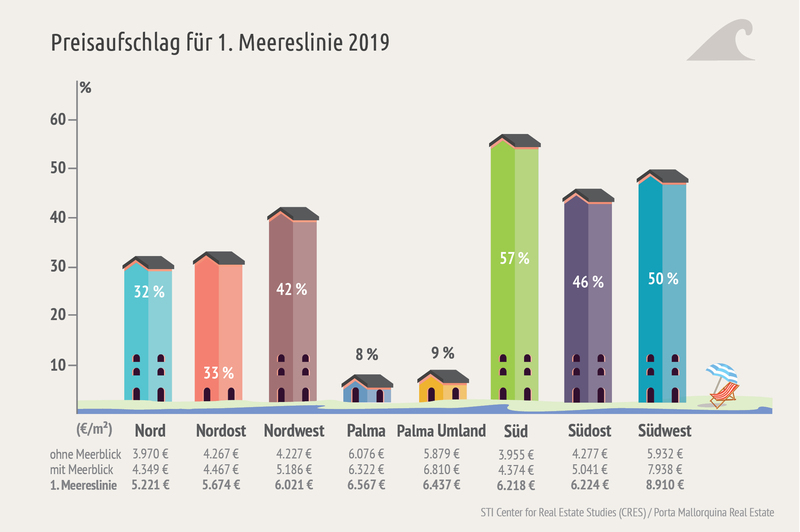 The square-metre prices there are on average, at 3.000 euros per sqm, half of what is required in Palma and its surroundings according to the newest price comparisons from Porta Mallorquina. Porta Mallorquina currently has a country hotel for sale in the heart of the village of Alaro, which is very popular with tourists and situated not far away from the probably best-known wine producer in Mallorca, Jose Ferrer in Binissalem. This finca in the Tramuntana mountains has 8 double rooms, a restaurant, diverse dining rooms and a pool. Built at the end of 1790 the house offers views of Alaro and the mountains. What tourists appreciate here is, above all, the nature and the tranquillity. A large industrial kitchen, a cellar, numerous storage rooms and private parking allow a relatively professional offer to be made to guests. With the ‘Porta Holiday yield calculator’ you can easily calculate potential returns from holiday renting. Cooperation with the locals is indispensable. The German naturopath Michael Popp trusted the advice of Mallorcans almost 20 years ago as he made the decision to convert a chicken farm into a vineyard. Now his wine ‘Stairway to Heaven’ is one of the best selling on the island but achieving this was a difficult process, for one thing because the owner of Bionorica did not have the time to completely look after the estate himself. The enologist Gaspar Amengual does that for him with his 20-man team, and guarantees the quality of the 180.000 bottles that Castell Miguel markets every year. The Italian Michele Baldassarre is the new manager of the restaurant, which is only open for lunch, and in December the property also makes money with an impressive Christmas market. Those wishing to try their luck with wine-growing can do so with a property which is for sale in Arta and which already produces wine. At present, however, production is not more than 1.000 bottles per year and the wine is not of a very high quality. Production could be increased up to 5.000 bottles, still only a relatively small wine business, but it could become the start of a real bodega like that of Michael Popp. 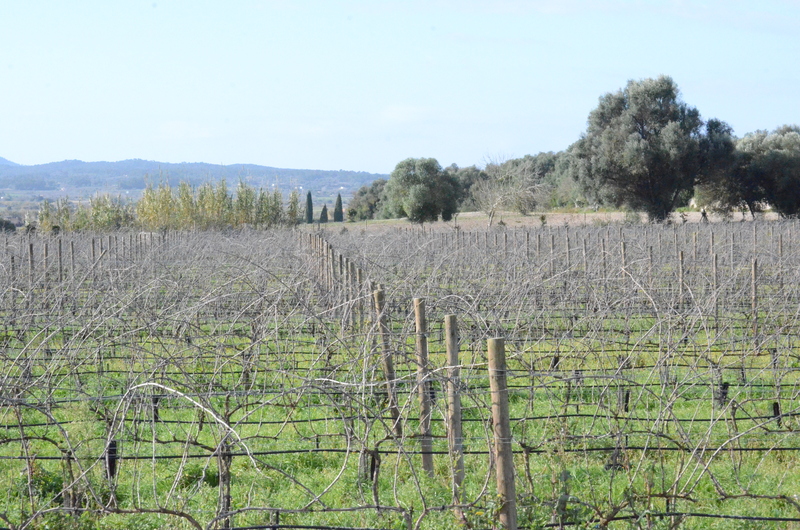 The dreamlike estate in Artà also has its own vineyard. 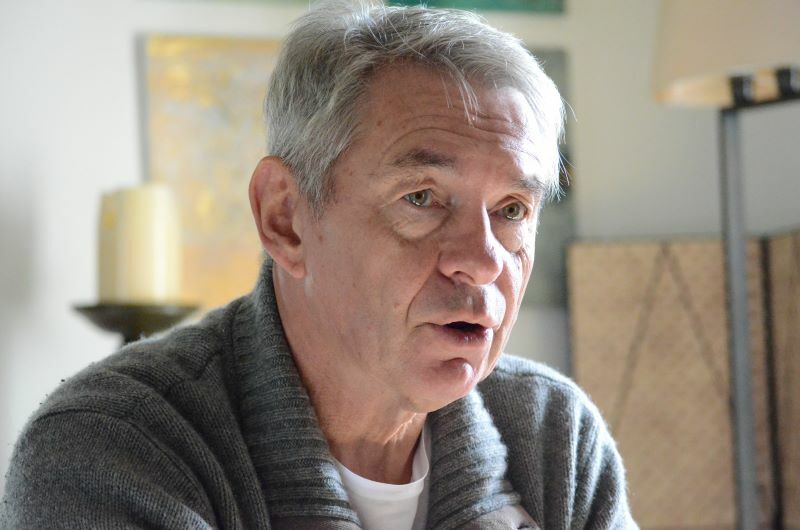 ”Wine cultivation in Mallorca is not easy due to the climatic conditions, the infrastructure is not ideal, and up to now wine for export has only been a niche product as the price-quality ratio is not particularly good”. For those reasons such an adventure should be well thought-out, as in the wine-growing business time and patience is an important requirement. Alexandra and Sören Grahe are not millionaires like Michael Popp – she is a human resources manager and he is a controller. The childless couple have fulfilled their dream of wine-growing in instalments, but only in cooperation with an experienced company. 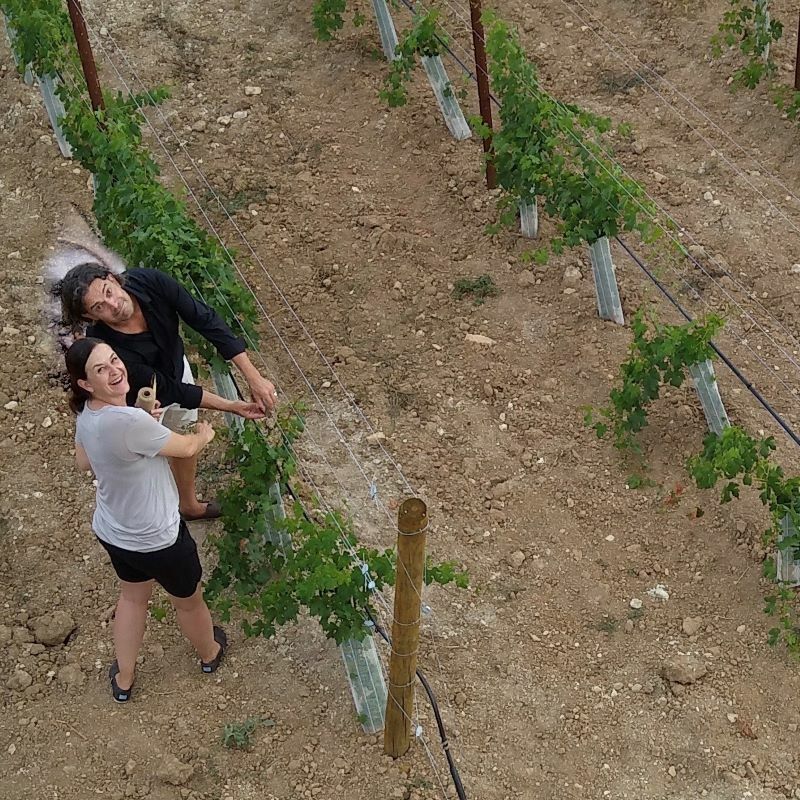 Six years ago they bought a town house in Sineu, and 2 years ago a local vineyard for 80.000 euros. Financial expert Sören calculated the risks. 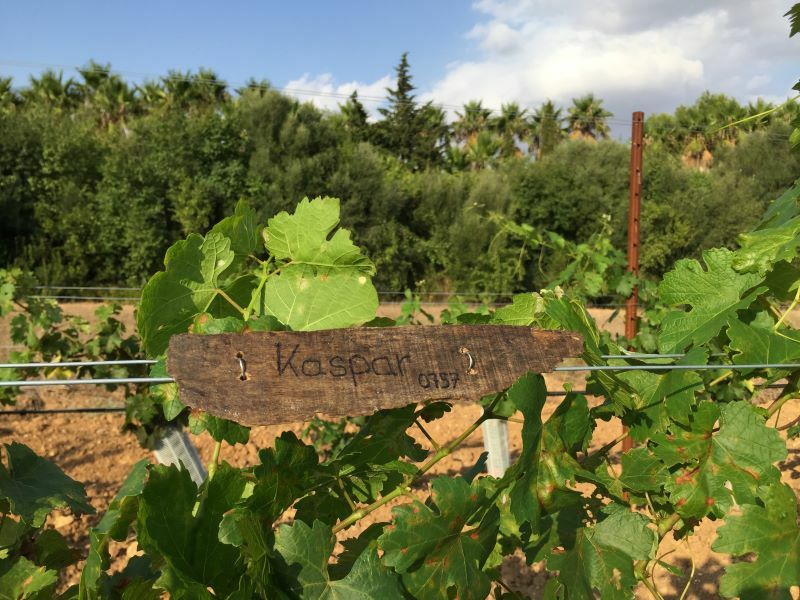 They finance it currently with their own capital and through sponsorship for the vines – they have not required a loan. The sponsors pay pay between 50 and 1.420 euros per year and for that have the right to a specific number of bottles of wine which are sent to them by post. There is also the possibility to pay a single amount for a sponsorship of 3 to 10 years. The first wine will not be available until 2022 but in spite of that the pleasant couple from Hamburg have already convinced 63 people of their idea. As well as the vine sponsorship they also sell the atmosphere. On the vineyard there is a small cottage where the Grahes serve tapas, so that each sponsor can admire ‘their’ vine, complete with name. It is also possible to influence the design of the individual ‘leased’ plots if required, and to label ‘their’ bottles of wine personally. ”Should it not work we can always sell the land”, says Alexandra Grahe. ”It is a unique experience and has already been worth it, no matter how much profit is made”.